International students in Vietnam still favour the US, but for how long? You are here: Home » Analysis » What do Vietnamese think about their choices when it comes to study abroad? 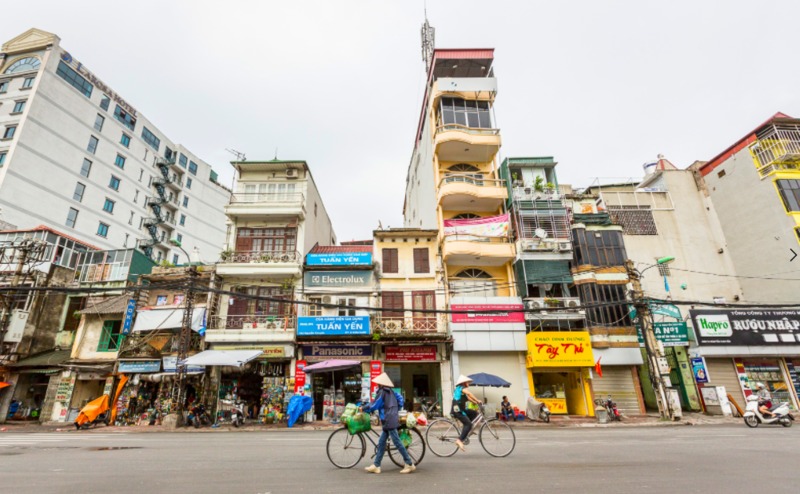 What do Vietnamese think about their choices when it comes to study abroad? Posted in Analysis, under . Nhung “Rosie” Nguyen doesn’t care what President Donald J. Trump says. Matthew D Edward is an American journalist and education professional in Ho Chi Minh City, Vietnam. He is a visiting lecturer of journalism and also teaches English at a for-profit language center. Nguyen, who recently began cramming for the GRE with a fellow lecturer, already holds a master’s in public policy from the University of Bristol in the UK and has taught public finance to government officials for over a year. The government’s recent insistence that every lecturer holds a PhD, however, resulted in a severe cut to Nguyen’s teaching hours, and now she’s looking to earn a doctorate abroad. Nguyen, who studies how countries transition to democracy, sees the US as an ideal environment to pursue her speciality, and university rankings, PhD program rigour and funding opportunities trump, well, Trump. Students and education agents echo Nguyen’s sentiments. Despite bombastic election rhetoric in the US and fallout from the new administration’s early executive orders, Vietnamese parents have returned their attention to quality and value, meaning it’s unlikely America will stop being the top destination for Vietnamese students anytime soon. Those same industry observers caution, however, that rural families and the newly wealthy worry most about cost — an area in which the US could lose ground to traditional competitors like Canada, Australia, or the UK, and regional education hubs like Singapore, or even emerging markets for Vietnamese students such as Germany. Vietnam is a promising market for education agents and foreign universities looking to bolster enrolment. Vietnam sent 53,546 tertiary students abroad in 2015, according to the UNESCO Institute for Statistics. And figures from global market intelligence firm, StudentMarketing, show that another 5,257 students studied overseas at the K-12 level. The Vietnamese Ministry of Education and Training puts out a very different set of numbers, however, which says more than 100,000 students are abroad — the last year MOET data is available is 2013, in which the ministry put the number at 125,000. Despite varying data, the trend is upwards. According to the USA’s IIE, 2015/2016 represented Vietnam’s 16th straight year of growth as a sender of students to the US. And the top two destinations for Vietnamese students, according to UNESCO, are the US, where more than 16,000 attended a higher education provider as of 2015 (a separate US Department of Commerce puts that figure at 18,722 instead), and Australia, where more than 12,000 are enrolled at a college or university. France comes in third (approximately 5,500), followed by the UK and Japan, both of which have between 4,000 and 5,000 Vietnamese students. The Boston Consulting Group, in a 2013 report, listed Vietnam as having the “fastest-growing middle class in Southeast Asia”. It described the newly wealthy as geographically dispersed across the country, as opposed to clustered in the urban centres of Ho Chi Minh City and Hanoi, a view the UK Foreign & Commonwealth Office concurred with. “Vietnamese towns are now full of IT-savvy, brand-conscious shoppers egged on by sophisticated marketing techniques,” states an FCO report on Vietnam’s business climate. That same brand awareness pushes parents to consider education abroad. “The entire country, bar none, is aware of the weaknesses in the education system here,” Kenneth Cooper, chairman of Access American Education Vietnam, LLC, says. The Vietnamese government has made improving domestic education a priority, but the number of qualified university lecturers has failed to keep pace with booming enrolment, according to local media. Tech-savviness also has gotten rural students into the game, says Hieu Dinh Le, CEO of G.A.P. Institute, a study abroad consultancy. “Students in the countryside now can access a fair amount of information… And prepare for SAT, SAT II, [and] application essays as much as the urban areas, and their stories are even more appealing to admissions [officers] in the US,” he says. No official numbers exist, Le says, but G.A.P. Institute believes that more than half of parents who send their children abroad are service industry entrepreneurs. Another 30% work in management at multinational companies and the rest appear to be government employees, Le says, cautioning that this is based on G.A.P. Institute’s experience. UEH’s Nguyen fits that profile; her father works in the petroleum industry while her mother serves as a government accountant. Her parents paid for her master’s degree, Nguyen says, but she plans to secure a teaching assistantship to fund her doctorate. Immediately after the November US presidential election, prospective and current international students around the world took to social media to vent their frustrations over Trump’s upset victory. In Vietnam, searches for US programs on Hotcourses — an overseas study search platform — dropped 7.3% in the four months prior to, and immediately following, the election. Searches for British and Australian programs, meanwhile, remained stable. These worries may have been short-lived in Vietnam, however. Many say politics is of small concern to parents. AAE’s Cooper says that some Canadian institutions were attempting to “piggyback” on Trump’s rhetoric to dampen enthusiasm for studying in America, but that, so far, parents did not seem swayed. 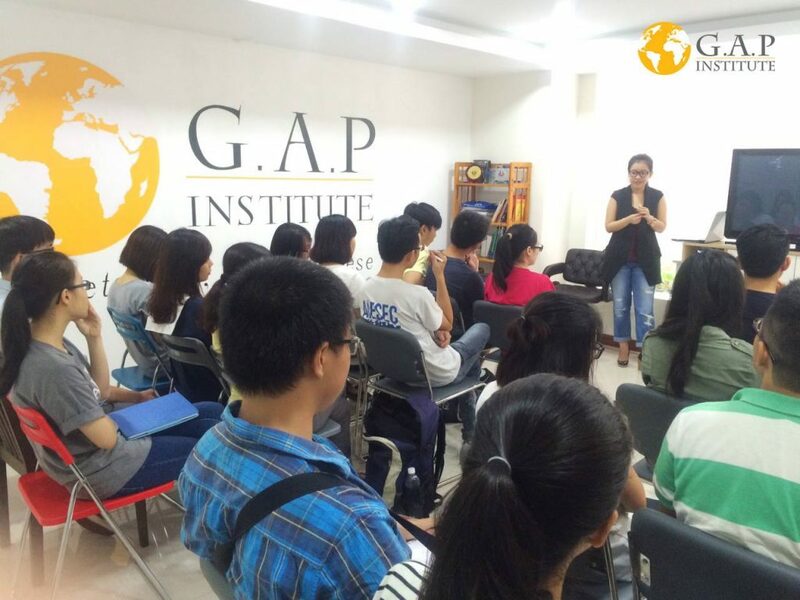 “Nowadays, Vietnamese go everywhere”, says CEO of G.A.P Institute. “Political matters are not the top influencing factor to Vietnamese people, financial factors are,” Le adds, noting that proximity to a Vietnamese diaspora in the study country is important to parents as well. “There [is] a strong Vietnamese community in the US already. Many parents want their kids to stay close to some distant relatives or even their friends,” he says. IDP research, however, has shown that Vietnamese perceptions of the US as a “safe environment” have declined in recent years. The perception that Canadian institutions provide high quality education, meanwhile, has improved. But Canadian and Australian visa regulations are seen as “less welcoming,” says Varaporn Dhamcharee, IDP’s regional director for Southeast Asia. The current climate, however, might change some minds, he expects. Tung Bui, faculty director of the Vietnam Executive MBA program, at the University of Hawaii Shidler College, in Honolulu, says Vietnamese students tend to come with strong English skills — writing being the exception — and often require extra assistance understanding the importance of proper citations due to the Vietnamese system’s insistence on verbatim regurgitation of facts. “For sure they are not worse than other classmates from other Asian countries,” Bui says. Finances remain the key issue for the rural demographic, however. “Five families will support one child,” Cooper says, adding that there’s “a lot more money” in Vietnam than official statistics might suggest because extended families will pool resources. Cooper downplayed cost as a barrier and highlighted new US initiatives that enrol students in community colleges, from which they transfer to four-year universities. He does, however, say that most families want to pay tuition of no more than $20,000 annually. Le notes that half his clients receive scholarships and other funds worth an average of 40% of their total costs. The number of clients looking for programs in Japan, South Korea, Singapore, and elsewhere has increased in recent years, and Le believes this trend will continue until Vietnam has a regionally prominent domestic university — the US and Vietnam backed Fulbright University Vietnam could fill that role, he suggests. “The rationale is simple — the top 5% richest in the country still choose [the] US, UK, Australia, Canada, but the new wave actually comes from the high-middle income or the middle-income class, and they are price sensitive,” Le says. • This article originally appeared in The PIE Review, our quarterly print publication. world-renown institutions offering degree courses there. China, Malaysia and Hong Kong are emerging centre of excellence in international education. Quality, quantity, location, cost and reputation are very much at play here.